Eddie Vedder of Pearl Jam performing at Hot Stove Cool Music last April. In the parlance of baseball, last year’s Hot Stove Cool Music show was a grand slam. 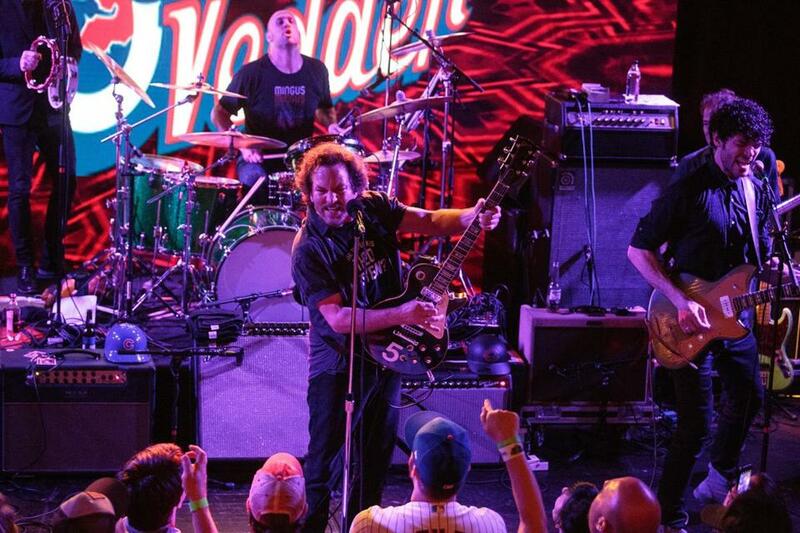 Well, Vedder won’t be back this year, but the benefit for Paul and Theo Epstein’s Foundation to Be Named Later will no doubt be a rocking good time. The show, which takes place Feb. 3 at the Paradise, will feature performances by Juliana Hatfield, Band of Their Own (including Kay Hanley and members of Belly and the Blake Babies), former Red Sox pitcher Bronson Arroyo, and Peter Gammons and the Hot Stove All Stars featuring former Yankees center fielder Bernie Williams and Cubs broadcaster Len Kasper. Here’s a bit from last year’s festivities.